Education is at the heart the dental studio’s ethos and continuous professional development is an important driving force of the laboratory. Our technicians benefit from travelling all over the UK and Europe to learn from some of the most reputable dental pioneers in the world. This means you can be assured that you are working with a laboratory who educates, invests and performs the latest in dental technology, benefiting you and your practice throughout the services we provide. 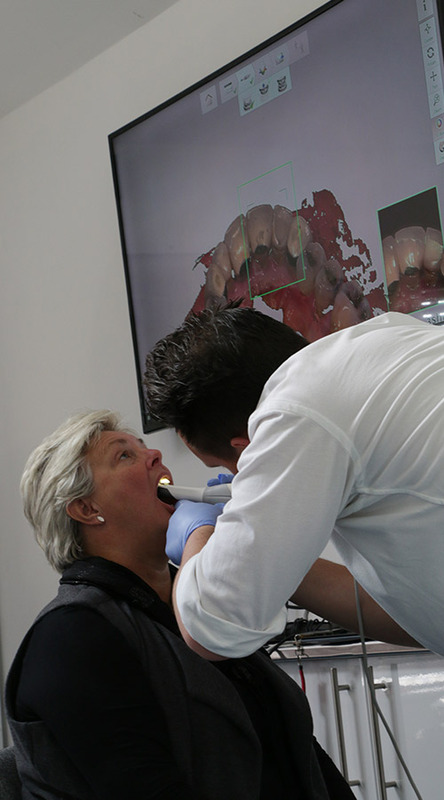 Norfolk House is home to the ‘Hall Dental Education Centre’ where we regularly host events relevant to both clinical and technical attendees, who are in pursuit of advancing their knowledge in such areas as digital dentistry, implants, smile design and shade matching. Some of which include the participation of live patient demonstrations with our on-site surgery further enhancing this experience. Bespoke presentation events and lectures on Smile Design, Patient Photography and Shade Matching can be organised for clients and their practice teams upon request and usually take place on an evening or Saturday morning for a duration of approximately 2.5 hours. These are particularly favoured by teams that wish to understand the concepts behind 3Shape Smile Design including the underlining principles and necessary photography protocols in order that clinical and technical teams can communicate effectively throughout the process. This in turn helping the whole team’s understanding and encouraging more of an uptake in treatments at the diagnostic stage, while producing final restorations with consistently exceptional results and higher patient satisfaction. Please click on our news page to find future events at the laboratory or contact us directly for information from our contact page. You can also add your details to our mailing list for up to date communications sent directly to you.